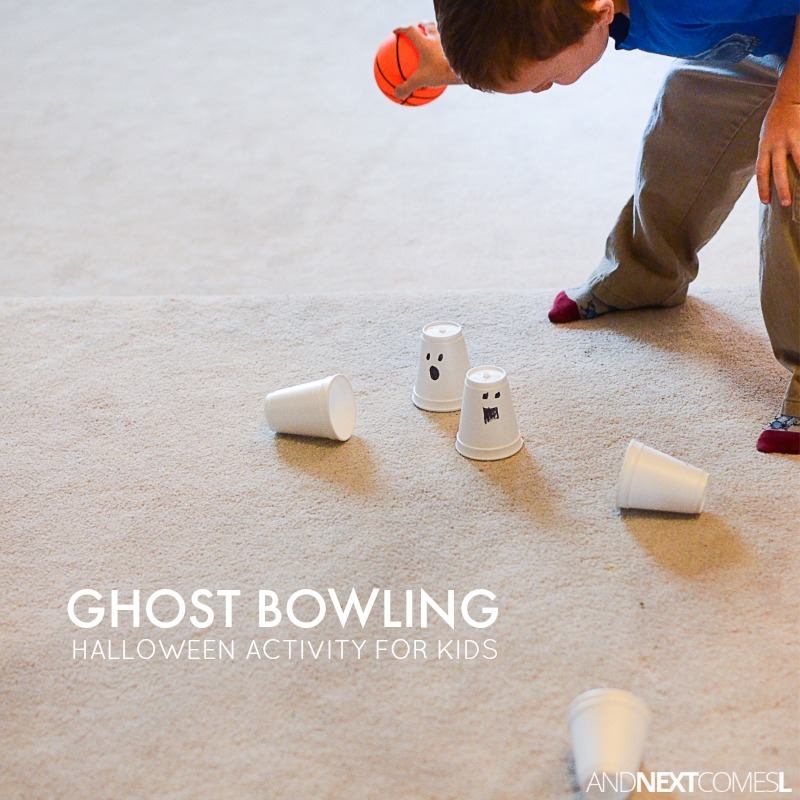 This ghost bowling Halloween activity for kids is a perfect way for active kids to enjoy some not-so-spooky Halloween fun. 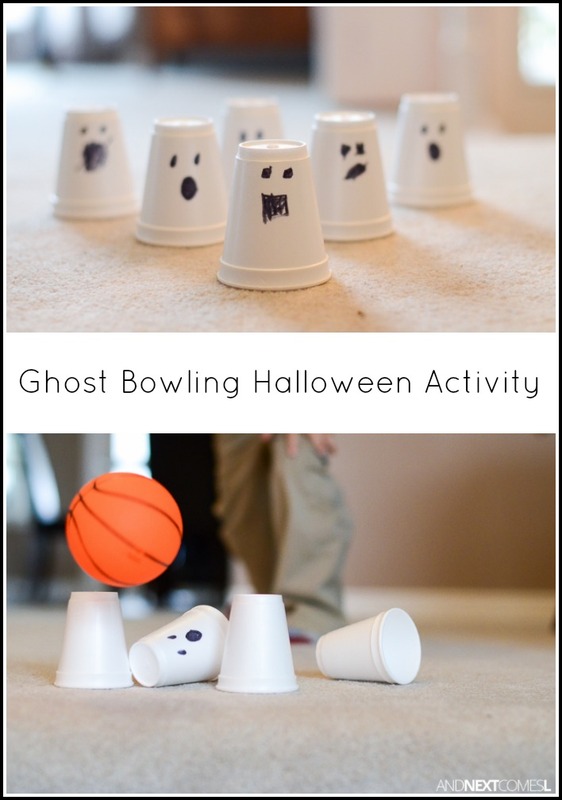 It's quick and easy to make and set up, making it a great boredom buster or Halloween party game for kids. For this activity, you will need some kids with excess energy, some DIY ghost cups, and a ball of some sort. 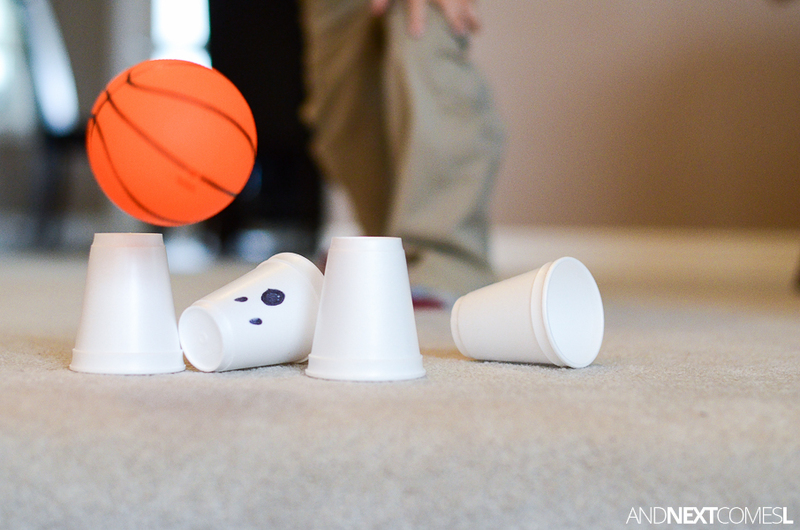 We actually made these ghost cups as part of another Halloween craft, as well as part of this ghost smash activity. 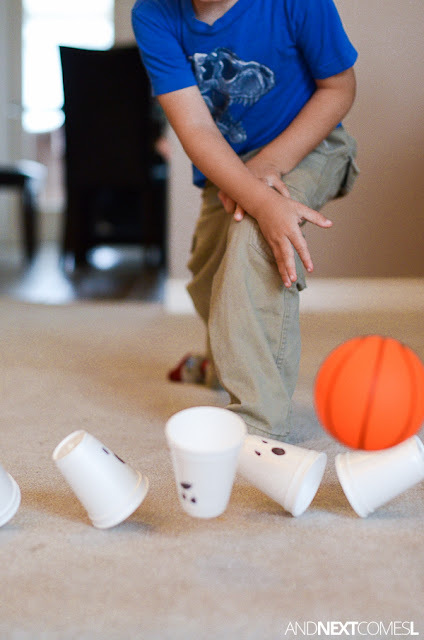 Styrofoam cups - You can pick these up the dollar store! 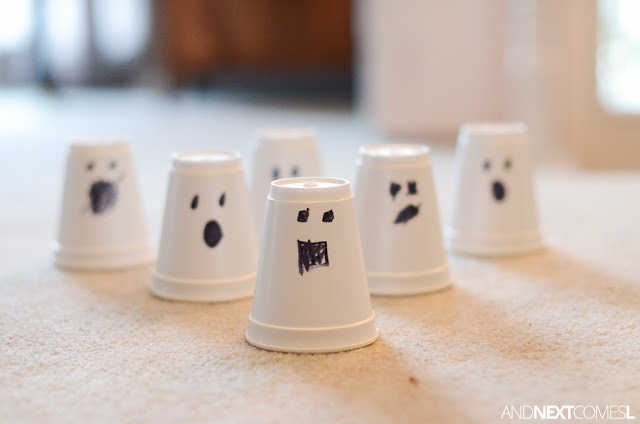 Have your kids design and draw their own ghostly expressions onto a styrofoam cup using black permanent marker. You can make as many as you'd like, as they don't take long to make at all. Five year old K and I made six altogether. He experimented with making square shaped mouths and eyes, as you can see. 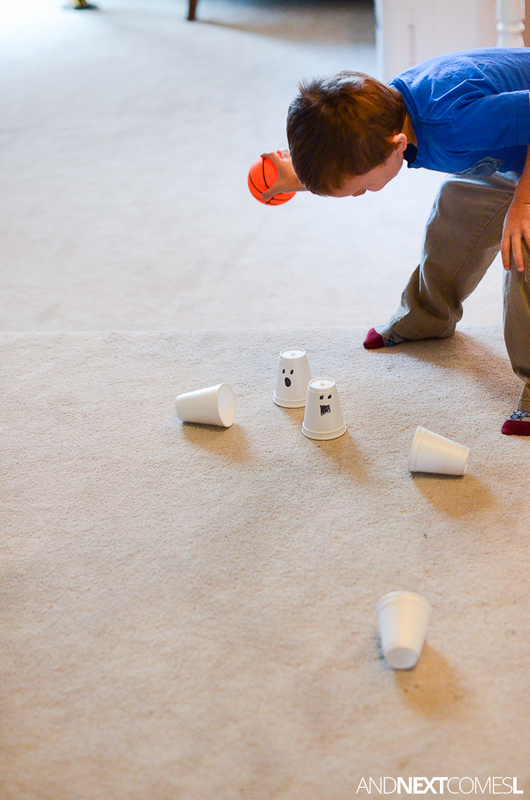 And there's just something comical and entertaining about the ghost's surprised facial expressions as they get knocked over. Don't you think?